Home Daily Living Aids Around the House Get Your Snuggies Here! We couldn’t be more excited. The Snuggies are here! You know, the fleece throw that keeps you warm from head to toe. That crazy soft blanket that you secretly want. Yup. 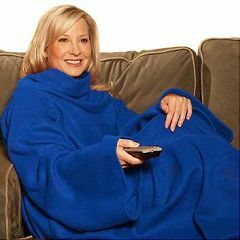 You can now order your Snuggie today at AllegroMedical.com and we’ll ship it, quick like a bunny, right to your door. Choose any color you want, as long as it is Blue or Pink. 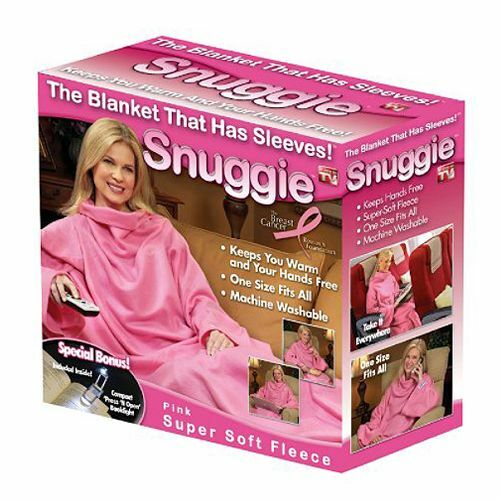 Not just any Pink, but the Snuggie Pink Limited – Breast Cancer Research Edition. (While supplies last). I have all kinds of plans for my Snuggie. First off, I’ll need at least one for the car. And I’ll take it to the movies! I’ll roll it discretely in my purse and then BAM pull it out after the movie has started and WRAP UP. The Snuggie has sleeves so my hands will be free for popcorn. Score! 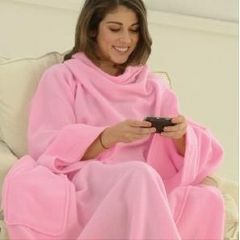 My home Snuggie will be primarily a TV and Game Snuggie or perhaps a Martinis-on-the-Patio-Whipping-Todd-at-Backgammon Snuggie. It will NOT be a Bar-b-Que Snuggie or a Disco Snuggie. Danger. Get your Snuggies TODAY! They’re inexpensive, so stock up. What a great gift. Speaking of gifts, check out our entire Gift Ideas category.